Sky have released the trailer for Carnage, coming soon ! 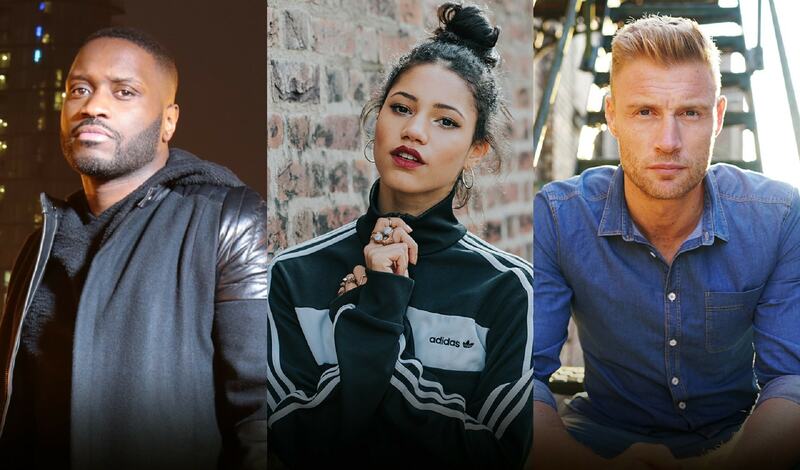 Presenter Andrew “Freddie” Flintoff, grime MC Lethal Bizzle and Capital FM presenter Vick Hope will be hurtling onto screens in new Sky One show Carnage. 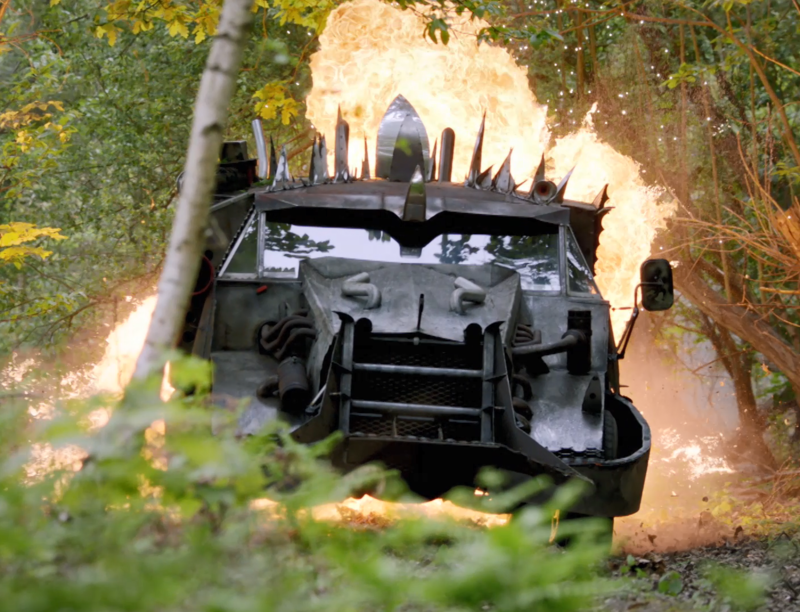 The hosts join the high-octane show which will see teams of creative engineers, mechanics and drivers from throughout the UK and Ireland transform regular cars into weaponised battle-ready vehicles. Teams are then pitted against each other in a Mad Max-style combat in three vast arenas deep in the desert. The game is simple: inflict enough damage on your opponents to render their vehicles immobile, with the last car standing crowned Carnage champion. All the diesel-fuelled crashes and smashes will air later this year on Sky One and streaming service NOW TV. The six-episode Sky Original Production forms part of Sky One’s continued drive to bring viewers new, ambitious and action-packed entertainment shows. Carnage is produced by Primal Media (a joint venture with Lionsgate) and Motion Content Group, with executive producers Mat Steiner, Adam Wood and Nic Patten for Primal and Melanie Darlaston for Motion. The commissioner for Sky is Barbara Lee. Wednesday 13th September, LONDON: Rylan is set to make his debut on premium entertainment channel W, hosting brand new gameshow The Wave (10×60’), a UKTV Original commission produced by award-winning production company, Primal Media (Release the Hounds). The Wave mixes sun, sea, surf…and stacks of cash. But instead of packing sunscreen, competitors must pack their swimmers as Rylan sends them off in pairs to battle it out on the Atlantic coast of Portugal in an effort to win the booty. Rylan stays firmly on the shore with one half of the pair, while the other braves the Atlantic surf and puts their fate in the hands of the elements as they attempt to reach a series of pontoons further and further out to sea. Will the currents, waves, and sea fog help or hinder their race to glory?! Waiting on each pontoon is a question: get it right, then money goes in the swimmer’s swag bag. But get it wrong and a 1kg of lead weight goes into the bag instead… what could possibly go wrong? For added pressure, they only win the money if the swimmer makes it back to their partner on the shore in time. Nothing like a relaxing day at the beach. The Wave has been ordered by UKTV director of commissioning Richard Watsham and W general manager Steve North. Commissioned by UKTV deputy director of commissioning Hilary Rosen who will also oversee as executive producer. The Wave will be produced by Primal Media, led by Adam Wood and Mat Steiner as executive producers and Sean Miller as series producer. The series will be directed by Richard van’t Riet. Adam Wood said: “The Wave combines all the classic elements you would want in a gameshow with one massive variable: the full might of the Atlantic Ocean! Successful contestants will have earned every penny”. The Wave, set to air in November, joins the slate of W’s recent UKTV Original formats including The Davina Hour and return of hit UKTV Original’s John Bishop: In Conversation With…, Dr Christian Will See You Now and Inside the Ambulance. W is UKTV’s premium entertainment channel, offering audiences a dazzling mix of UKTV original series; Dr Christian Will See You Now, John Bishop: In Conversation With…, The Davina Hour, The Secrets In My Family, Inside the Ambulance alongside handpicked gems from the BBC and Channel 4 including series from Louis Theroux, David Beckham, Stacey Dooley as well as the same day repeat of EastEnders. The award-winning independent has eleven imaginative brands – UKTV Play, Dave, W, Gold, Alibi, Yesterday, Drama, Really, Home, Eden and Good Food. These include the two most popular non-PSB channels in the UK and account for nearly 10% of the British commercial TV market. The company’s most recent financial results showed record-breaking year-end revenue of £344.8m and EBITDA of £91.3m. It invested £151.2m in programming and related launches last year, and is a significant investor in British creativity. Now celebrating over 20 years at the forefront of digital television, UKTV – an independent commercial joint venture between BBC Worldwide and Scripps Networks Interactive, Inc. (SNI) – is proud to be the first British television broadcaster in The Sunday Times top 100 companies list. Bigheads has been nominated for the Game Show award at the Rose D’or Entertainment Awards. Get ready for diesel-fuelled clashes and smashes, as epic car battle Carmageddon hurtles its way to screens in 2018. The high-octane and humorous show will see teams of engineers, mechanics and drivers transform their wildest car concepts into a reality as they hand-build armed and battle-ready vehicles. Then, in a Mad Max-style combat in three vast arenas deep in the desert, six souped-up cars will battle it out using their bespoke weaponry… and only one will survive to drive away and into the season grand finale. The 6 x 60 series is produced by Primal Media (a joint venture with Lionsgate) and Motion Content Group, with executive producers Mat Steiner and Adam Wood for Primal and Melanie Darlaston for Motion. The commissioner for Sky is Barbara Lee. 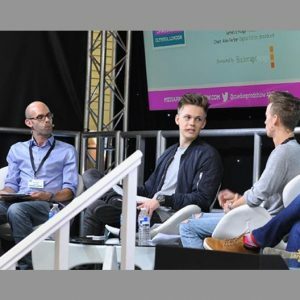 Raucous Productions, the indie established by YouTube stars Caspar Lee and Joe Sugg, has partnered with Release The Hounds producer Primal Media as it seeks to make its mark on linear TV. The company, which was set up in partnership with Dominic Smales, managing director of social media talent agency Gleam Futures, is developing a linear prank show with the Lionsgate-backed producer. The move came after Sugg worked with Primal, run by former Gogglebox Entertainment duo Mat Steiner and Adam Wood, on an episode of the ITV2 horror gameshow. The two firms are in active development on the new format ahead of pitching it to linear broadcasters, including ITV2 and Channel 4, and online outlets such as Netflix and Fullscreen. Speaking at Broadcast’s Media Production Show, Lee said the fledgling firm, which was set up to produce BBC Worldwide-backed travelogue Hit The Road, needed to prove itself, and partnering with Primal gives broadcasters more security to order multi-part series. James Emtage, who joined Raucous as a development executive in February, added: “With the ambition of the ideas we have and the scale we want to take them to, it made sense to partner with a more established indie, albeit one that shared the same creative vision. Lee and Sugg, who have more than 10 million subscribers on the Google-owned video platform, decided to start with a prank show after discovering that their wind-up videos, which regularly get 6 million-plus views, received the highest engagement. “A lot of the stuff that we have on our development slate has stemmed from what’s worked well on our channels. So, for example, prank videos perform a lot better than some of our other videos – they get more likes and comments,” said Lee. 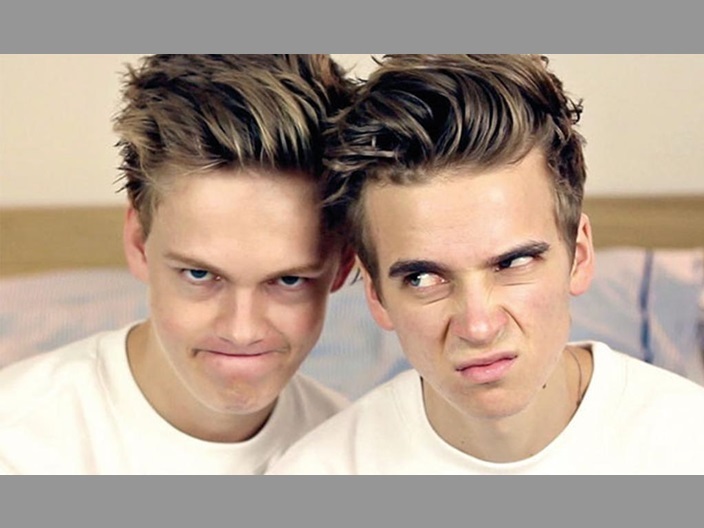 Gleam’s Smales added that Lee and Sugg have a different relationship with their audience than other stars. Japanese advertising giant Dentsu has invested in digital talent agency Gleam Futures. As part of the deal – under which Dentsu is thought to have taken a minority stake in the business – Gleam, run by chief executive Dominic Smales, will work closely with Dentsu Aegis Network’s entertainment division The Story Lab. The two firms said the deal will “accelerate and enhance” the company’s talent stable and help them “develop deeper commercial partnerships”. Gleam will continue to operate from its HQ in London’s Charlotte Street, and said its subsidiaries will “benefit from frictionless access to global markets”. Raucous has a number of projects in the pipeline, including a studio-based entertainment series that mixes nostalgia with YouTube talent; an entertainment format set on a tropical island; and a factual series that delves into the lives of digital entrepreneurs. The pair are also keen to create ideas they can produce rather than star in. “I would love to get to the stage where emerging digital talent trusts us to work with them,” said Lee. However, Smales, who represents 42 online stars including Zoella, healthy eating advocate Marcus Butler and fashion blogger Shahd Batal, said starting a traditional production company is not the end goal for many of his clients.